2017 has kept me extremely busy, traveling all over Australia and New Zealand following Australia’s premier motorsport categories. Throughout the year I end up covering over 30 different race meetings and spent over 180 days on the road, including an ill-advised road-trip up to Townsville and back! The year started off with a bit of a challenge after I decided to re-branding my business over to InSyde Media. It’s been a great learning exercise and I’ve continued to work really hard grow the business. Hopefully all that work will continue to pay dividends in 2018. All in all, it’s been an amazing adventure and after a couple of weeks break, I’m really looking forward to getting back trackside in 2018! With that all said, I thought I should put together a collection of some of my favourite motorsport photos from throughout the year. It’s been a massive one, I’ve taken over 300,000 photos across all the jobs and personal projects I’ve had this year. You can also check out some of my favourite automotive photographs. So here it is, my favourite motorsport photographs that I captured during 2017. 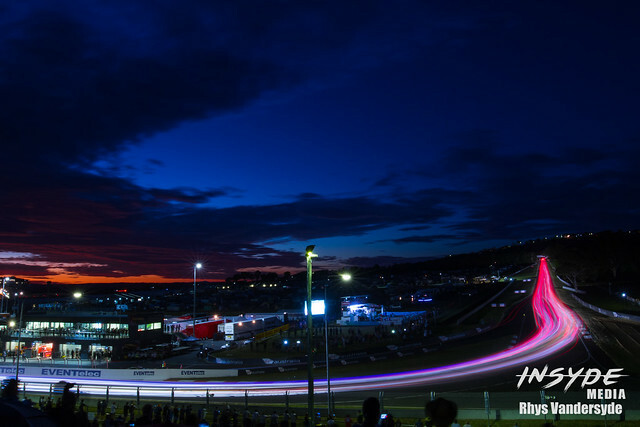 The pre-dawn start to the Bathurst 12 Hour always makes for a great photo opportunity. This year I took slightly different take on my usual long-exposure at the start. 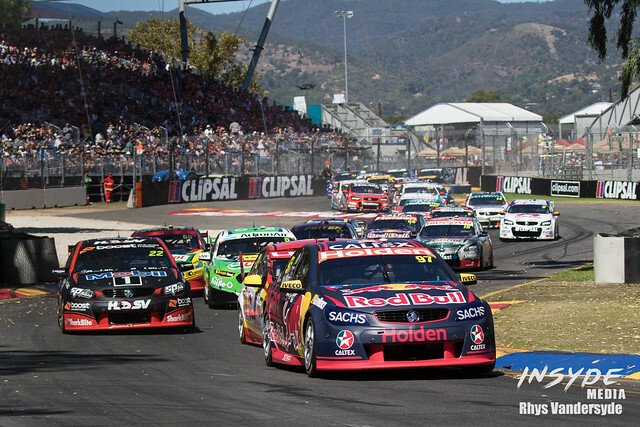 The traditional Supercars season opener, the Adelaide 500, was as action packed as always! This particular shot, while not spectacular, signifies the start of the 2017 Supercars season. With a full plate of circuit racing, I don’t get a lot of opportunities to photograph rallying these days. 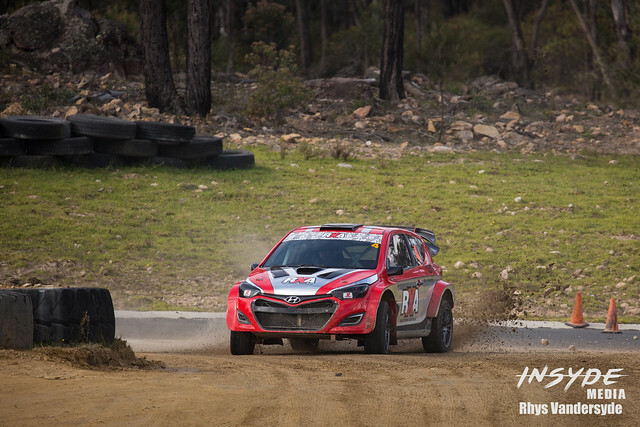 However, I did get a chance to photograph one round of the RXAus this year. Photographically it combines all my favourite elements of both circuit racing and rallying. The racing was pretty good too! 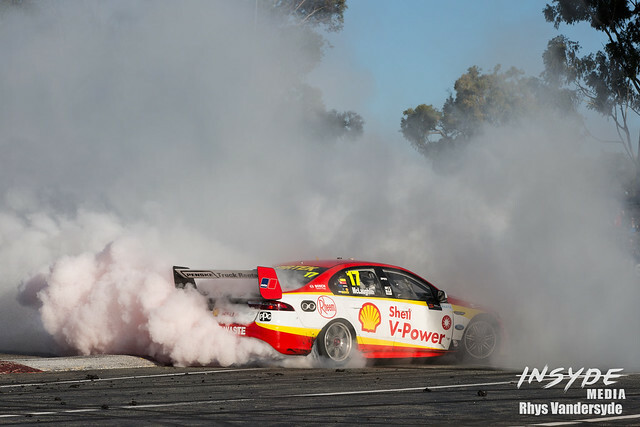 Scott McLaughlin celebrating his race win over in Perth in spectacular fashion. In this particular photo, I like how the smoke started to turn pink while DJR Team Penske driver was tearing up the red ripple strip. This one was a matter of being in the right place at the right time. 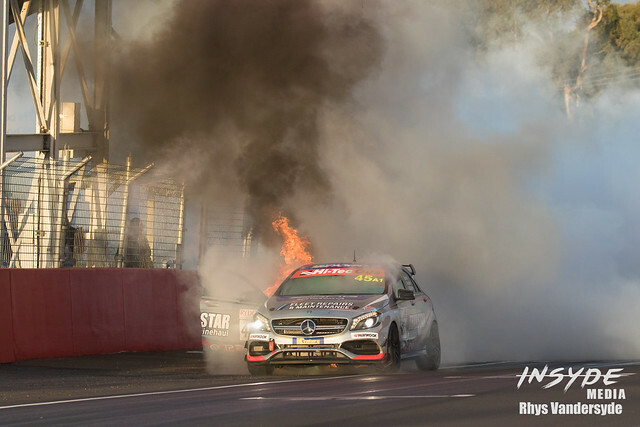 Craig Baird’s Merc burst into flames on Mt Panorama’s pit straight during the Bathurst 6 Hour. Bairdo walked away from this one just fine, but the car wasn’t as lucky. 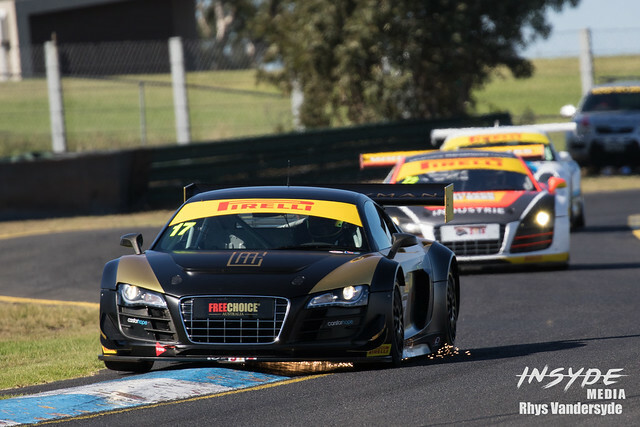 It’s not often I photograph car sparking, but this Audi hit Sandown Raceway’s kerbs at just the right angle to create this stunning photo. Not something I think I’ll be able to recreate in a hurry. The Shannons Nationals round at Queensland Raceway is great for photography. 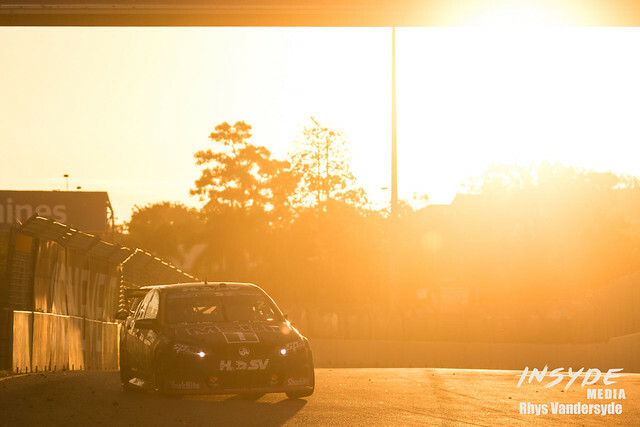 The Australian Production Car Series “Fight In The Night” race is a really fantastic opportunity to get creative with both the sunset, like this photos, and then once it gets dark. 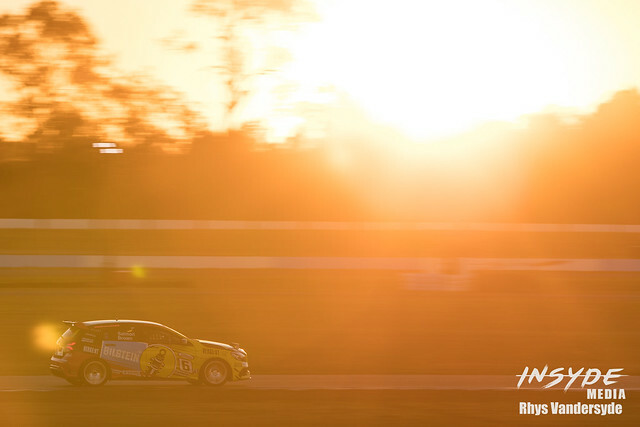 Another sunset photo, because we don’t get to capture enough motorsport action at sunset!. This one was taken during the Supercars round up in Townsville. 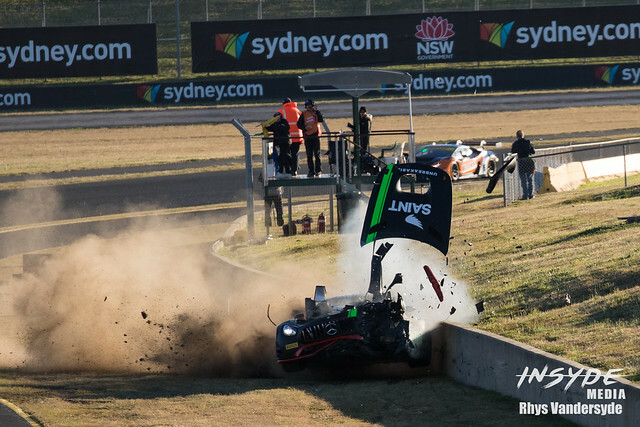 Another case of the right place at the right time to capture Scott Taylor’s massive crash during the Australian GT race at Sydney Motorsport Park during the Supercars round there. It was a huge impact for the Mercedes AMG GT3. 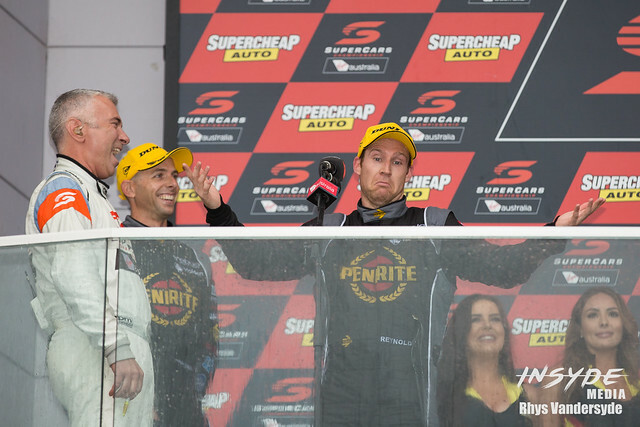 It seemed to be the Bathurst 1000 that nobody wanted to win. The number of lead changes in the final few laps left the winners just as confused as the rest of us. 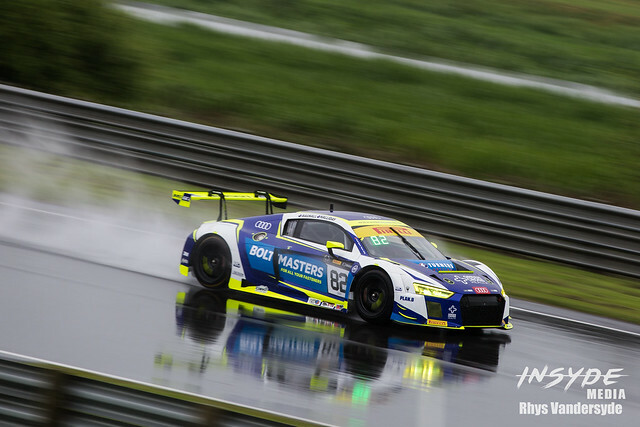 Torrential rain might seem like a terrible time to take photographs, but there are so many interesting things photos that can be captured on a wet track. Like this reflection shot during the Australian GT round at Hampton Downs in New Zealand. At most Supercars rounds I’m running around trying to capture all of my customers in the support categories. 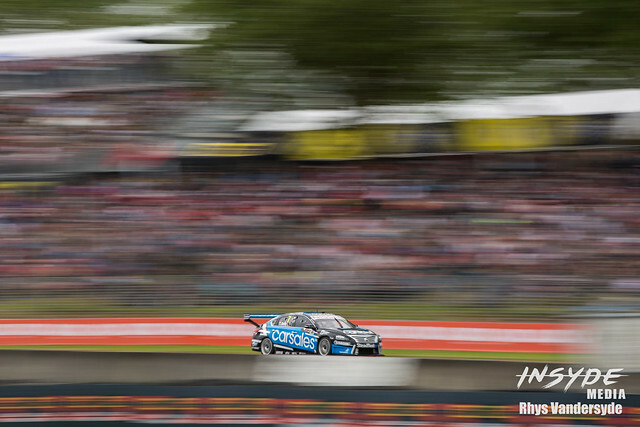 Pukekohe is my chance to just focus on the Supercars and create some interesting and artistic photos, like this one. 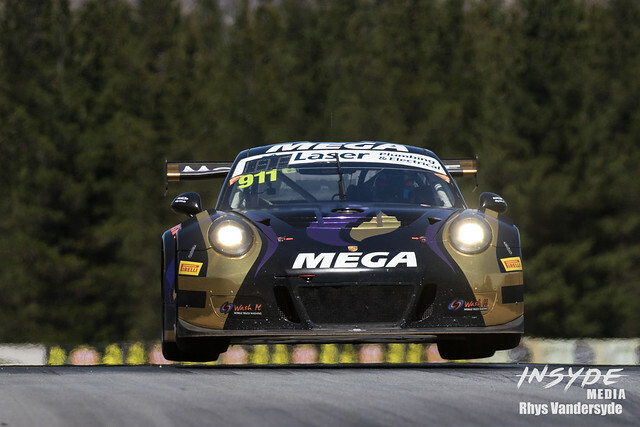 I don’t think GT3 cars were designed to fly like this… Really glad I finally got a chance to get over to Highlands on the South Island of New Zealand this year. Such a fantastic track in a stunning location. Hopefully I’ll get a chance to go back over there in the future. The inaugural Supercars trip to Newcastle created so many fantastic photos. 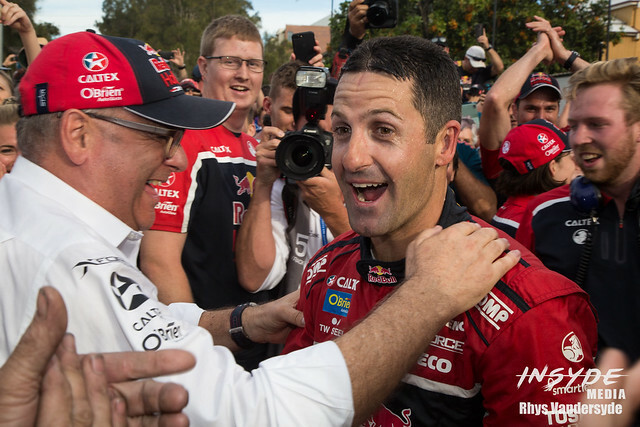 However I had to pick this photo… I’ve been fortunate to have photographed five of Jamie Whincup’s championship victories. This one photo captures more emotion than I’ve seen him express in any of his wins. This one definitely meant something to him.